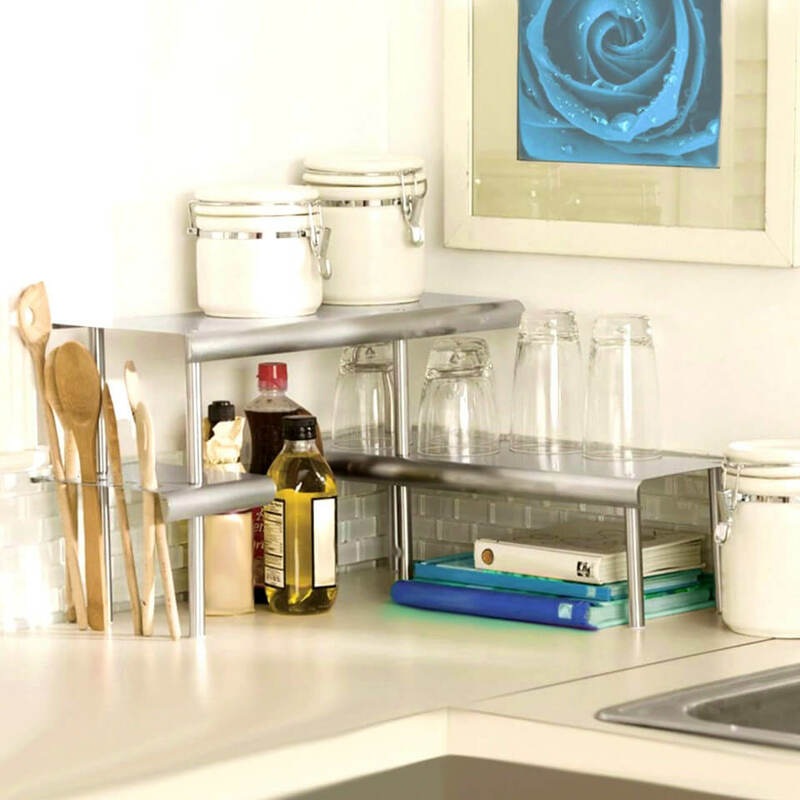 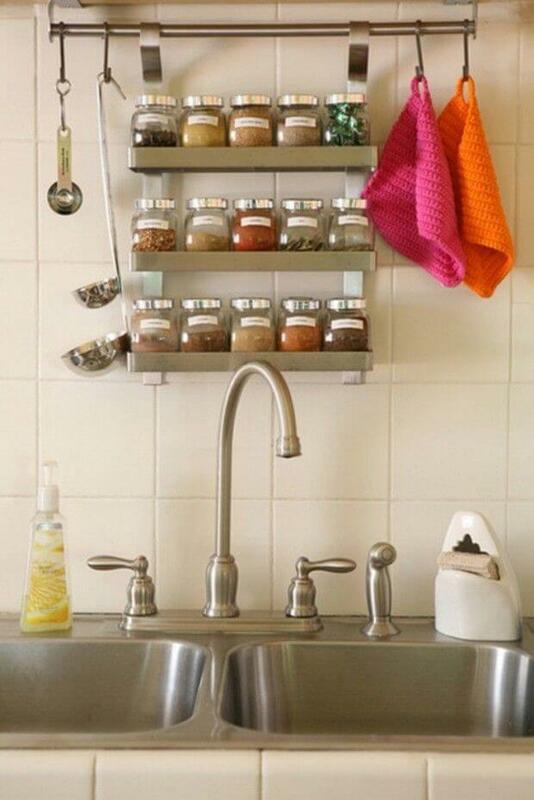 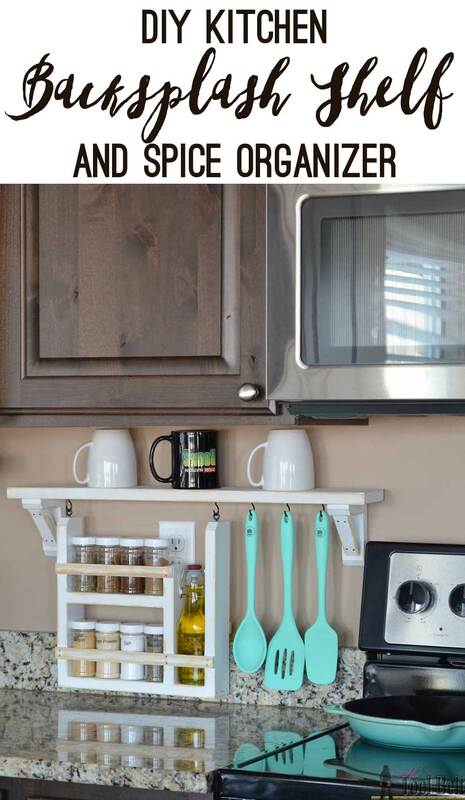 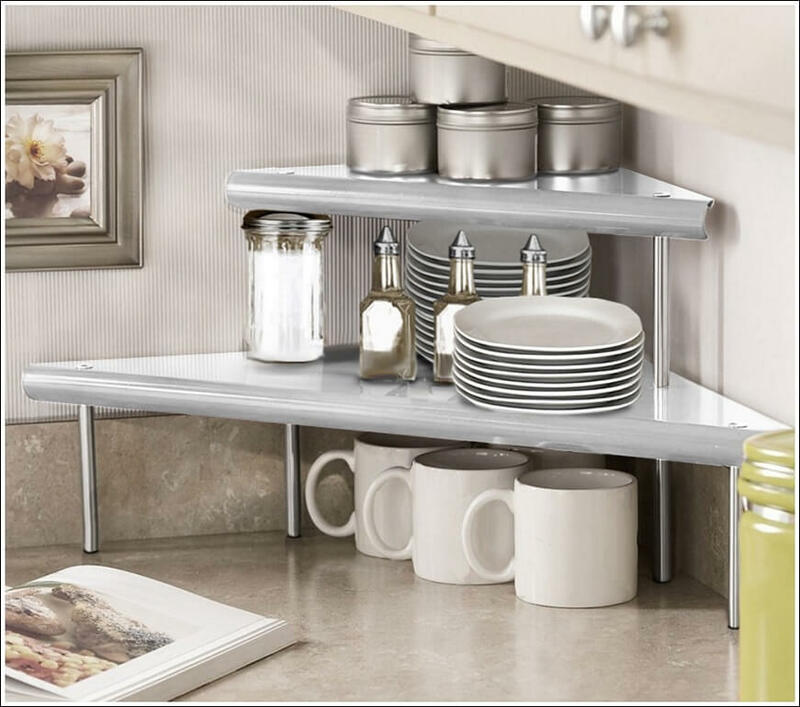 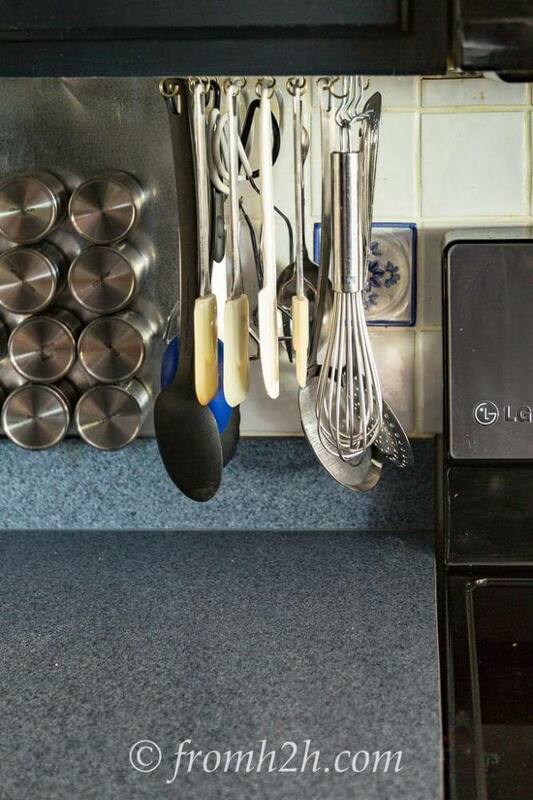 Every kitchen could use an organizing update. 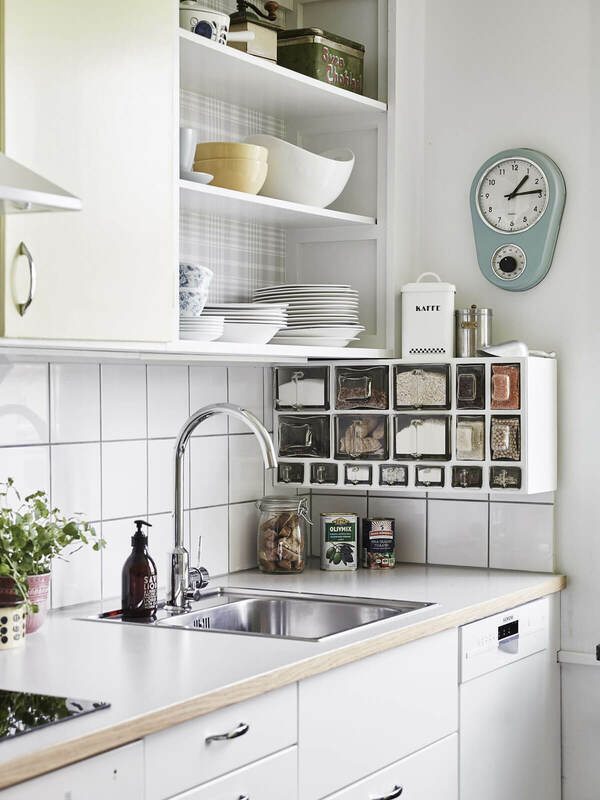 In a disorganized kitchen, there is less space to get things done. 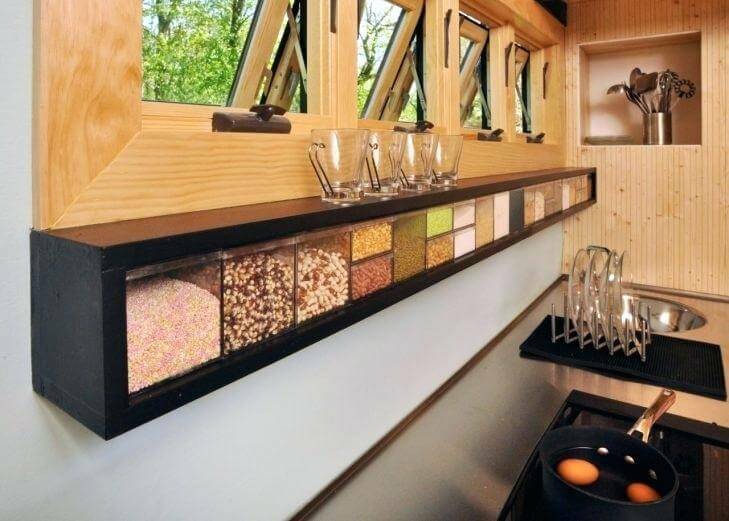 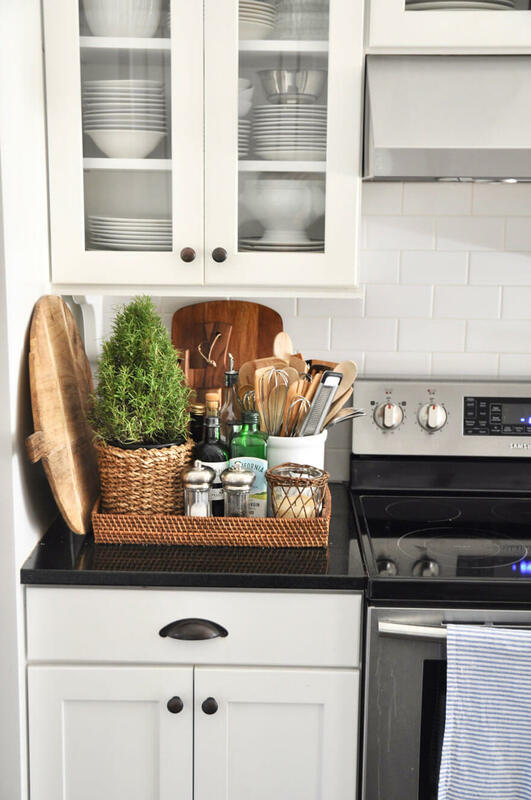 A messy kitchen is also unappealing to guests and family members alike. 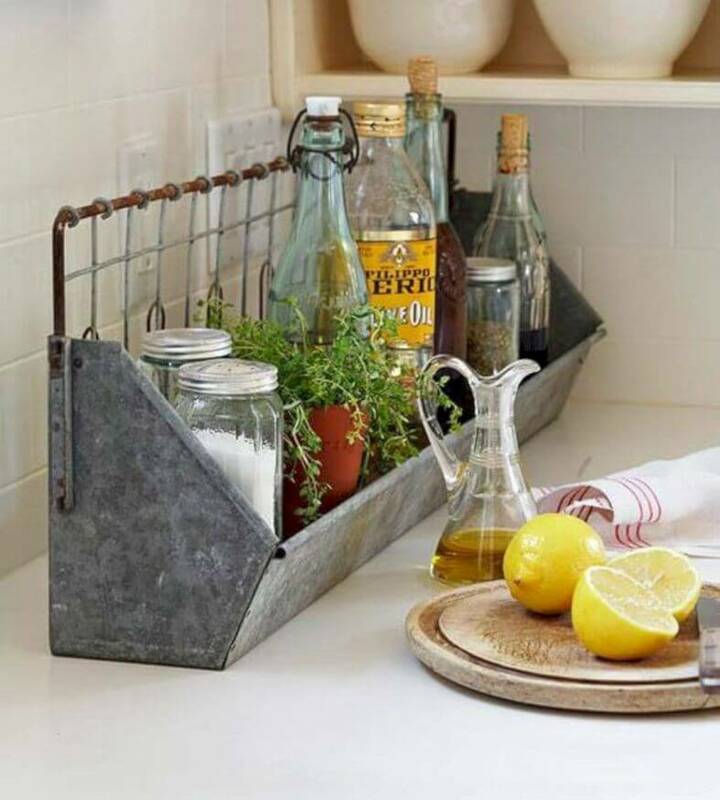 Try some of these 34 kitchen countertop organizing ideas to freshen your space and keep the things you need close by. 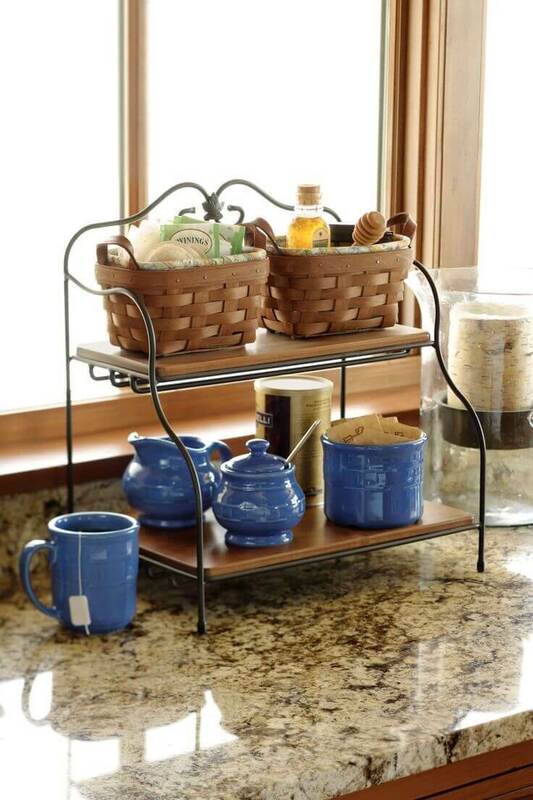 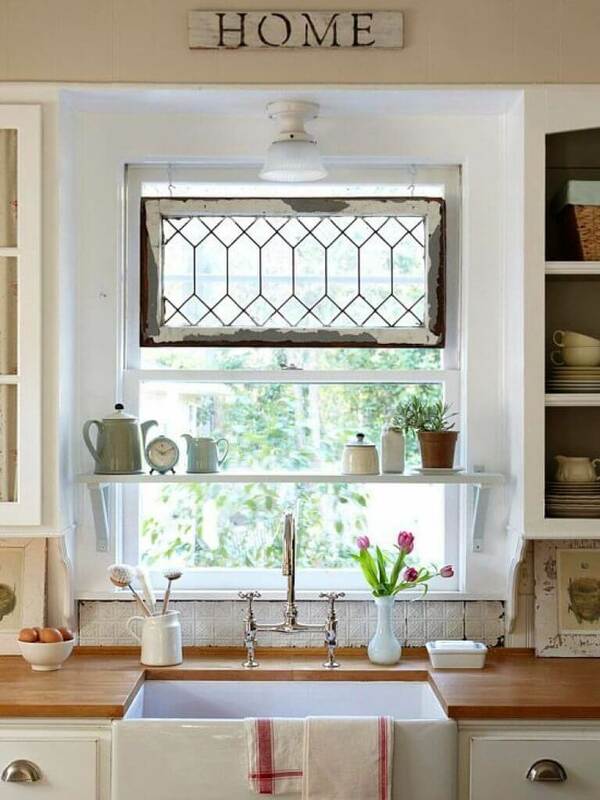 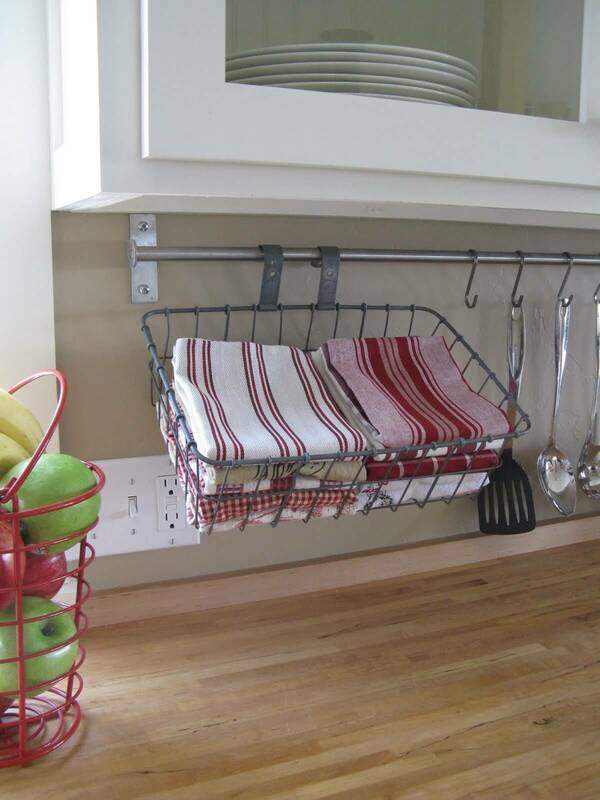 An inventive idea to maximize space in your kitchen is to hang baskets under your cabinets. 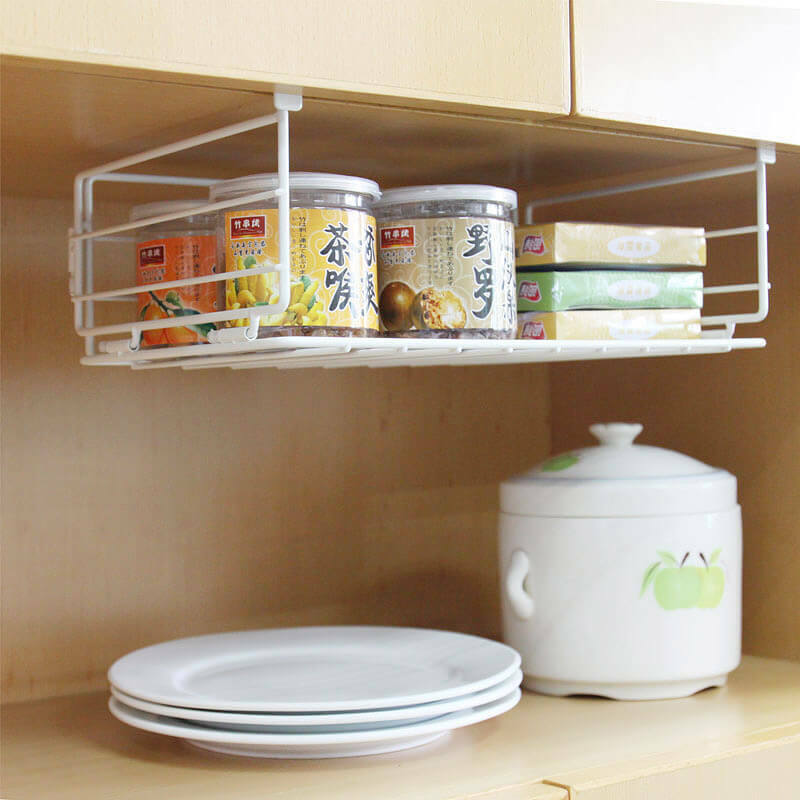 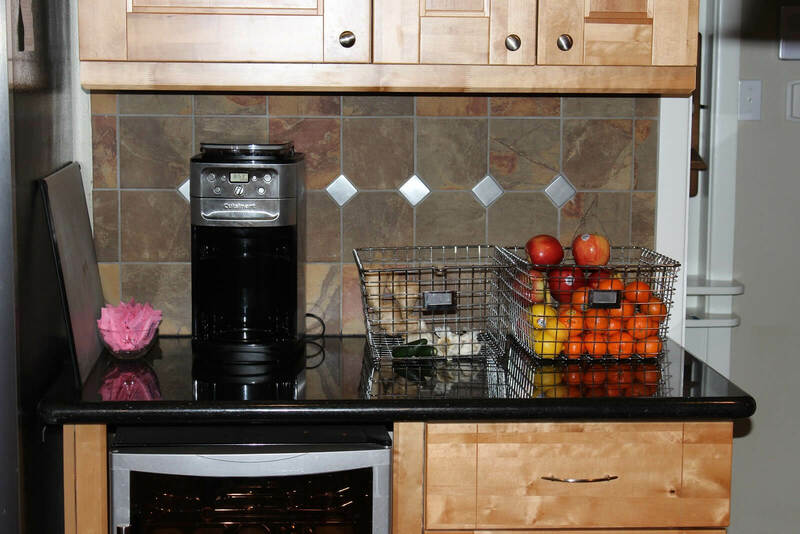 These baskets can be hung from a metal rod on the wall or directly from the underside of the cabinets. 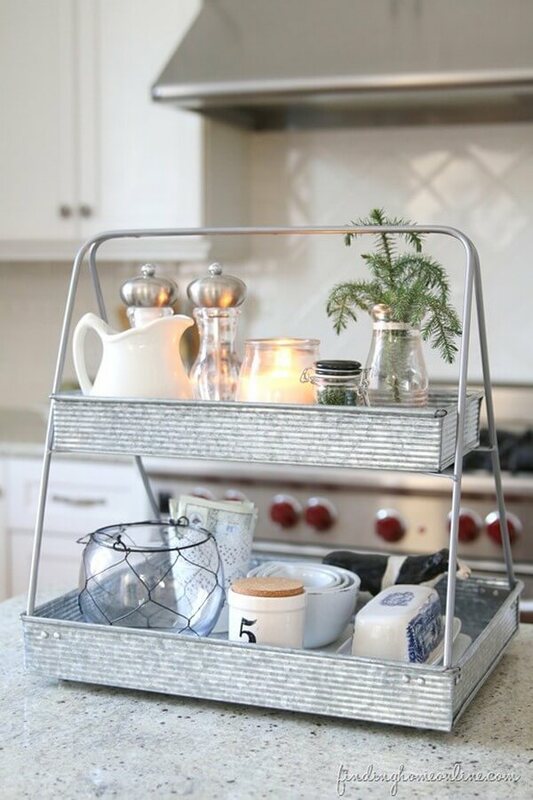 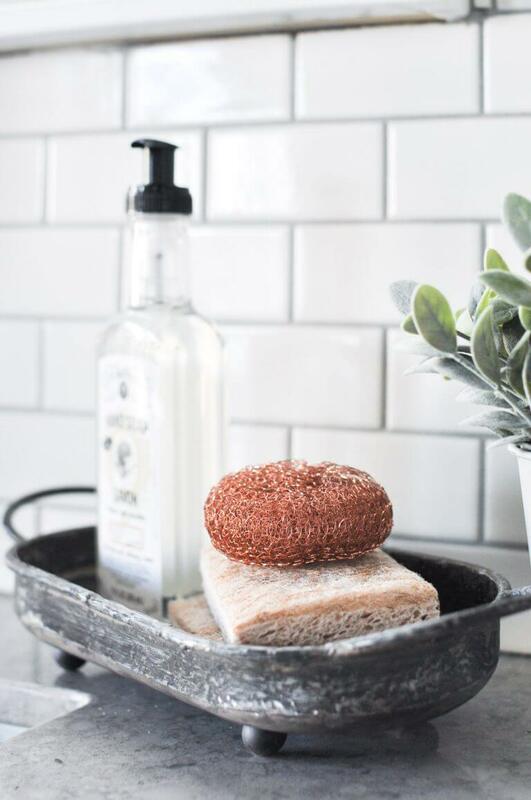 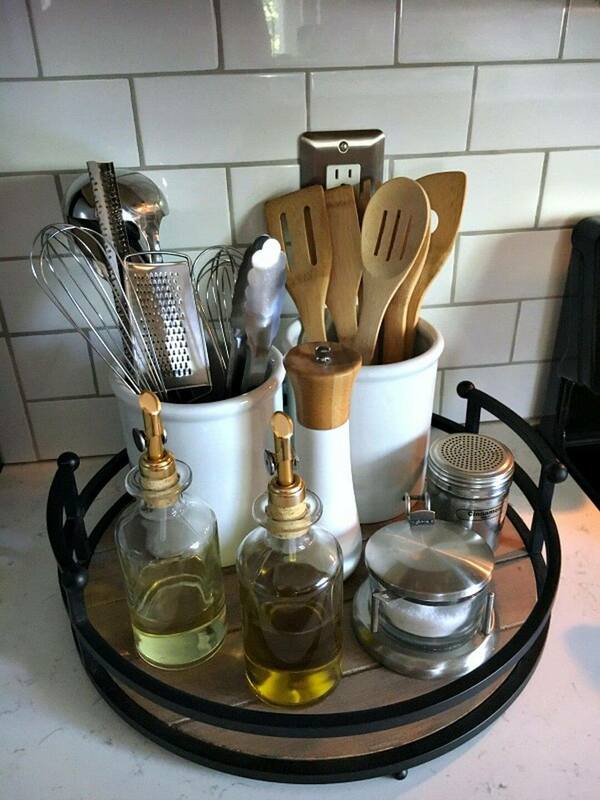 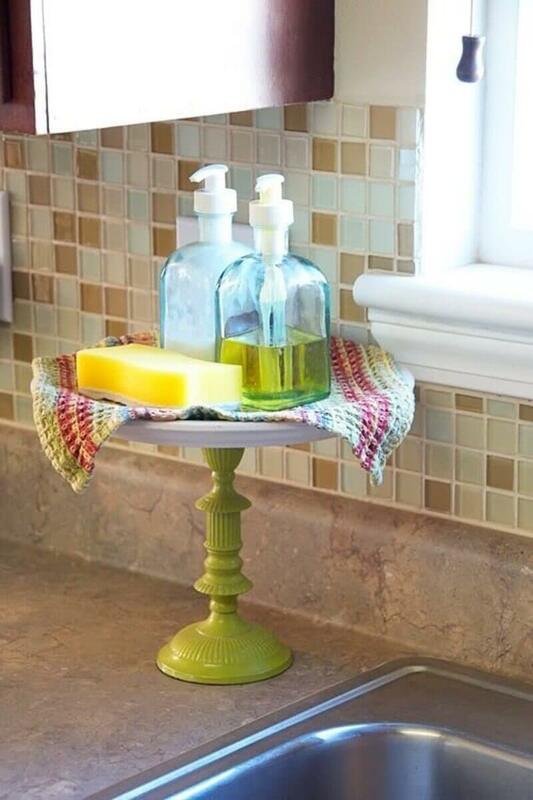 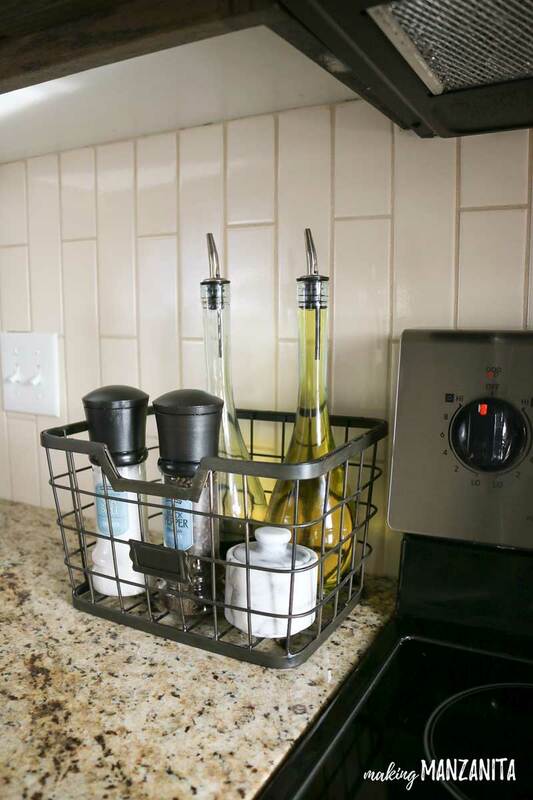 You can use these baskets to organize things like oils, towels, and cleaning supplies. 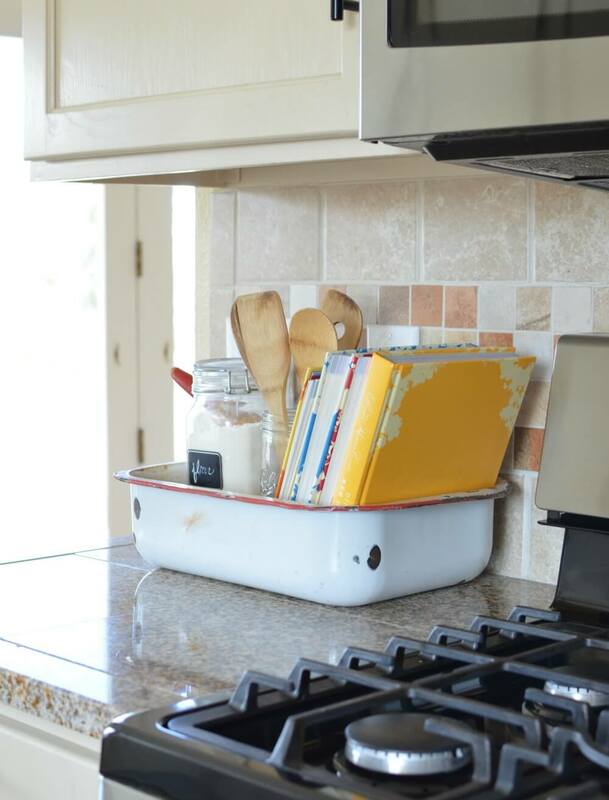 Unique containers bring charm to your kitchen décor while keeping everything neat and presentable. 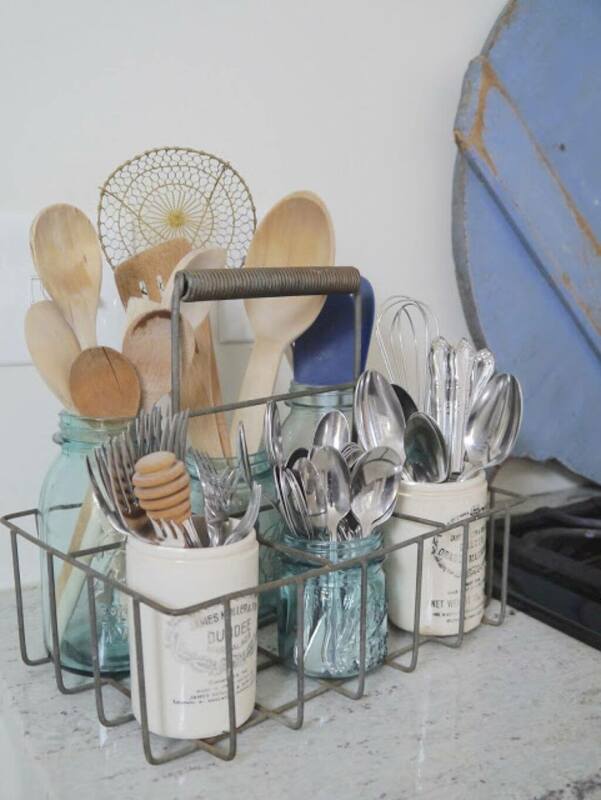 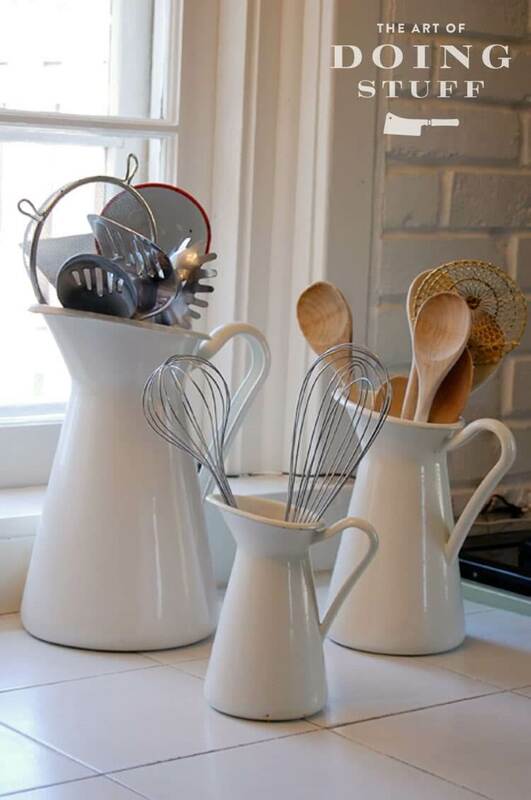 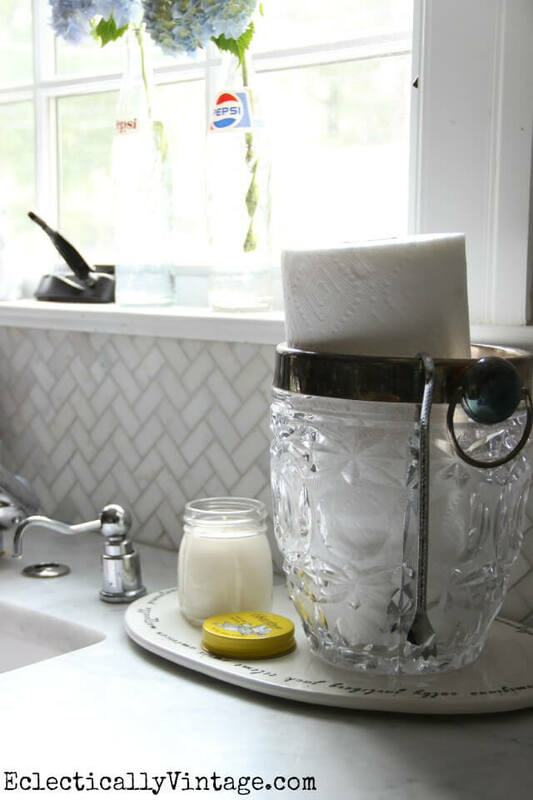 Tall pitchers keep your utensils handy while bringing your kitchen a touch of farmhouse style. 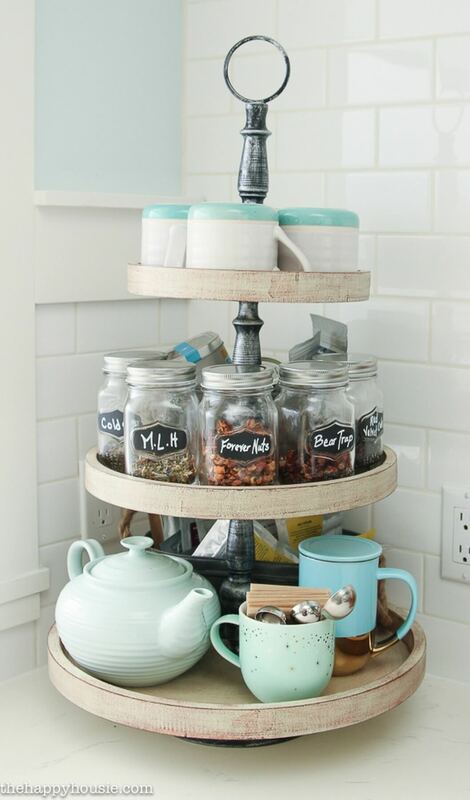 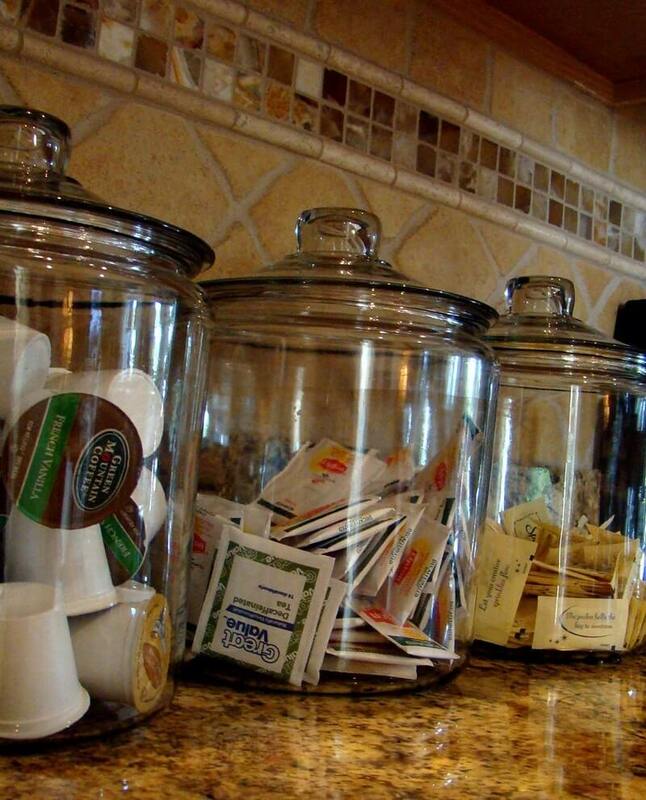 Oversized cookie jars are a fun way to keep small items like single use coffee pods and teabags from taking over the countertop. 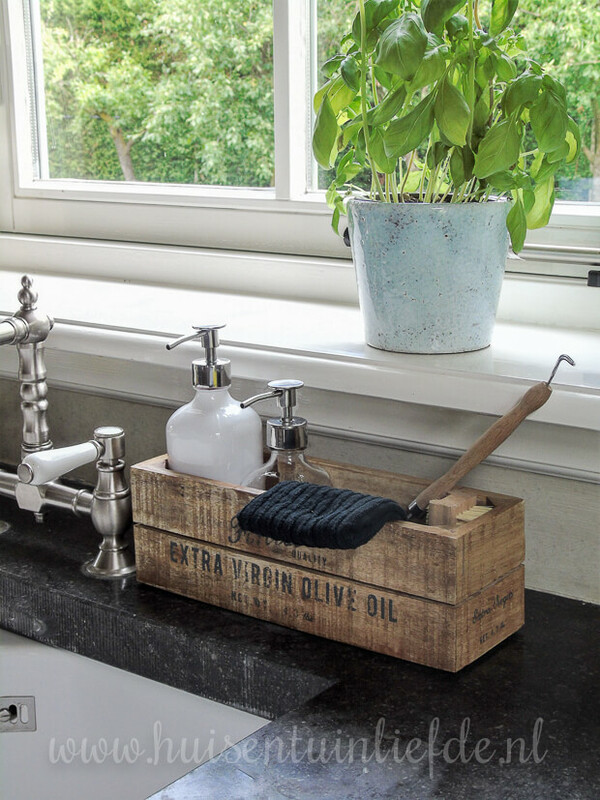 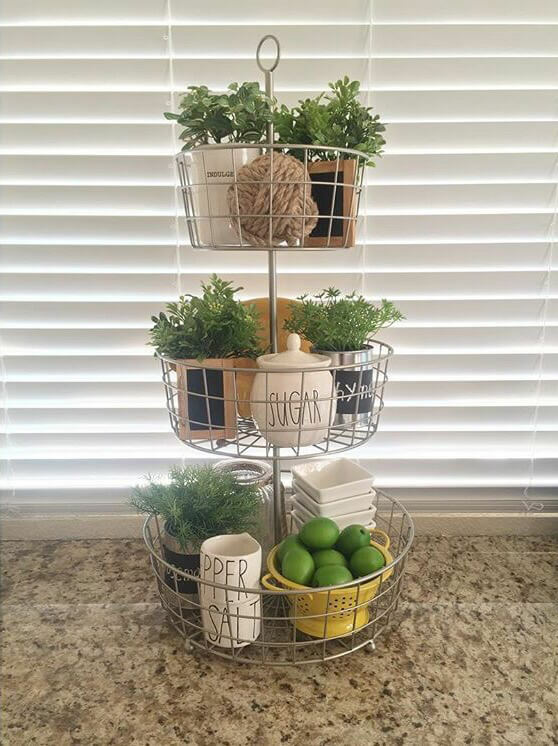 One popular trend is to include herb plants in organizing trays and baskets. 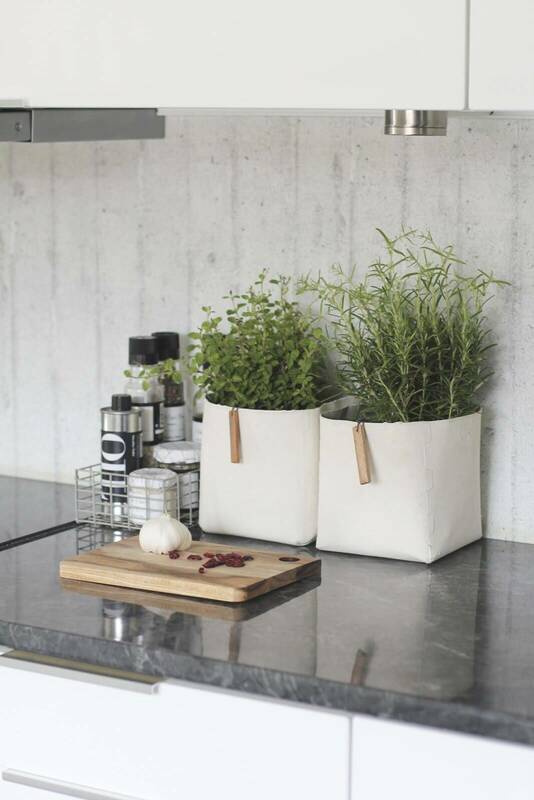 These bring a touch of green to your kitchen while encouraging you to use more fresh herbs in your cooking. 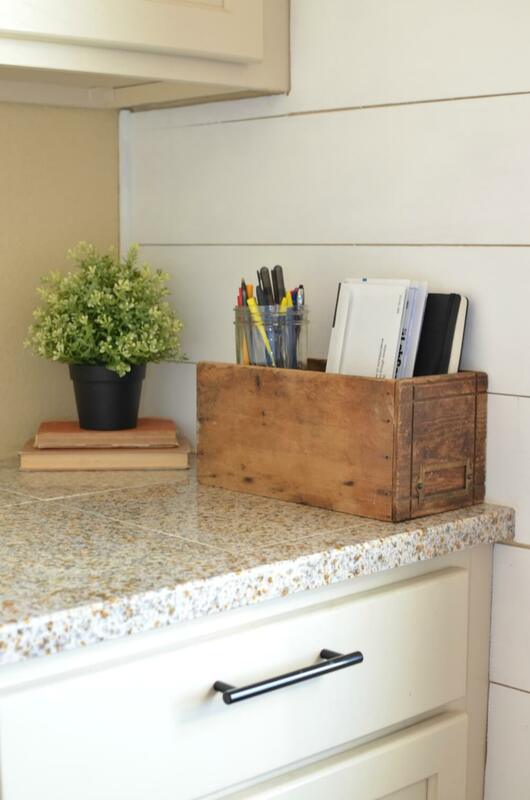 We found the 34 best kitchen countertop organizing ideas for your home. 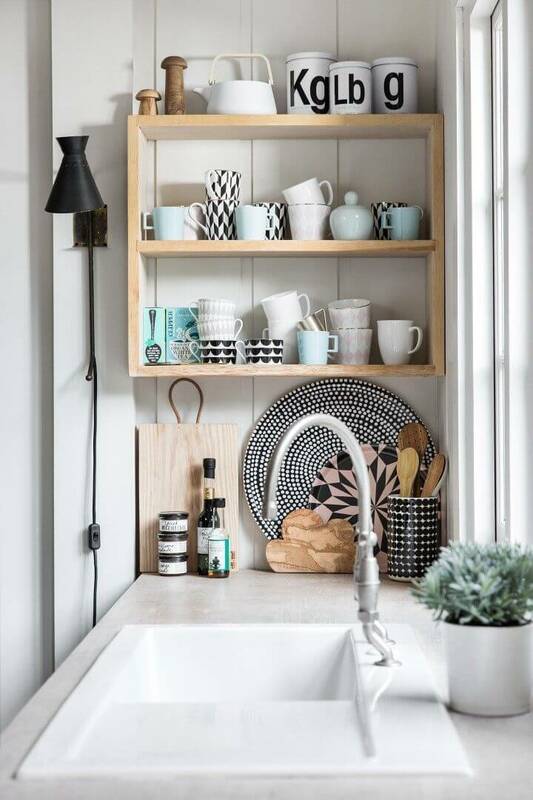 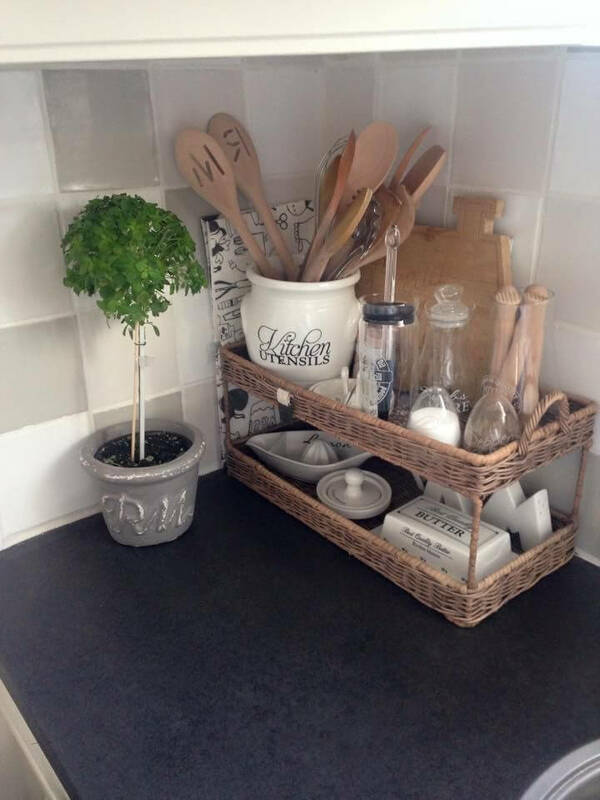 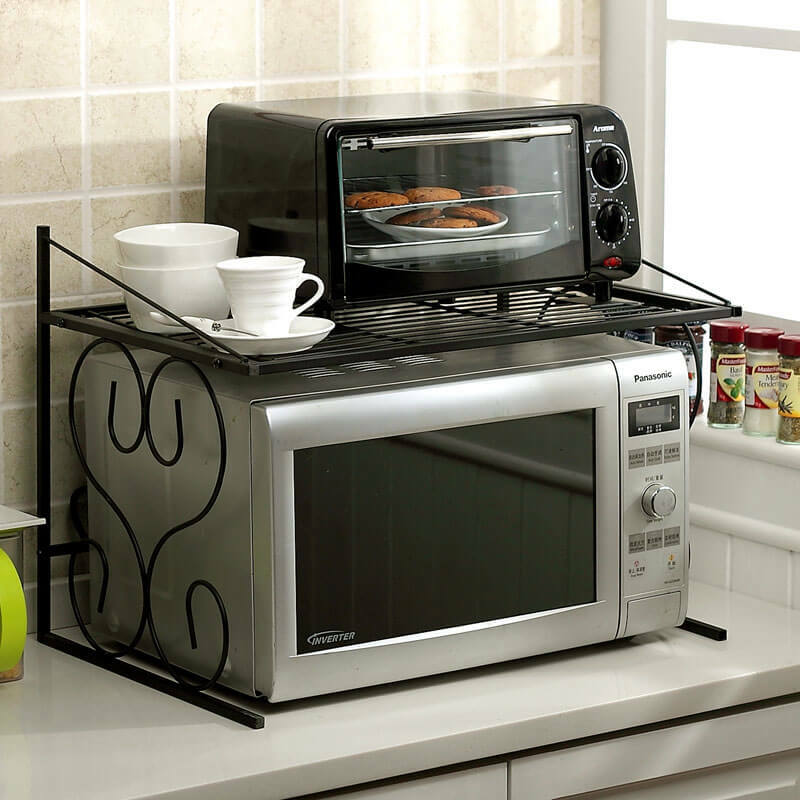 Try any one of them to add style to your kitchen while keeping your essentials handy every day.